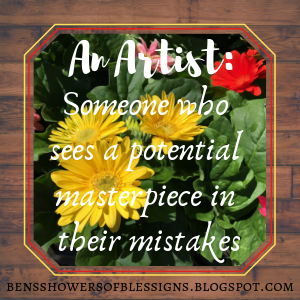 Showers of Blessings: Shared WIP Tag: Week One! 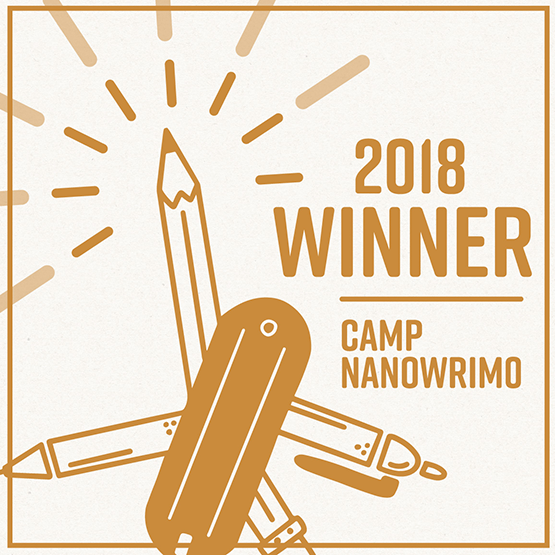 Nano is here, and I am writing my very first rough draft! So keep that in mind when you read about my novel! Things are not set in stone, and I don't have everything figured out yet, but that is kind of why I joined this WIP (work in progress) Tag!!! Thank you so much, Julian, for hosting and organizing this tag! And special thanks to Lisa who did an amazing job on all of the Shared WIP Tag graphics! I would also like to say to everyone who is writing a book, or dreaming about writing one... YOU CAN DO THIS!!! I am cheering you on! If God has placed these words on our hearts, If we have this strong desire to write a book, If we are willing to preserve through those rough (and when I say "rough," I mean really rough) drafts, then I believe we will succeed! Also, be sure to check out all those participating in the Shared WIP tag's posts! Now, lets dive right on in then, shall we? 1. Introduce the story: blurb, maybe cover or anything else! Dakota's Dream is book #1 in the Winds of Faith Chronicles! Winds of Faith Chronicles is going to be a five book series based off of my family's move to the country. The catch? We live in the 19th century! This is a historical fiction story using my some of the characteristics of my family members if we were to live in the 1840's. "Living in the 1840’s, nineteen year old Dakota Skye Whickner longs for more. The busy hassle of ever-growing Independence, Missouri is wearing her down, giving her the strong desire to leave the city far behind and move West. To live where she has only read about. The Wild West, a place where untamed land stretches out as far as the ocean is wide. 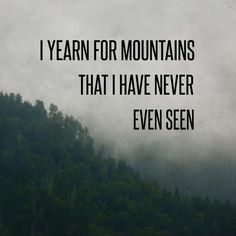 Where adventure and new beginnings are around every rolling hill and mountain peak. Adam William Brown is on the run and wishes to find his place in life, one that doesn't involve his painful past. Determined to make a better life for his younger sister, Adam starts his journey west from New Orleans, not knowing what that would entail until it was too late to turn back. Thrust into yet another desperate situation, he clings to what hope he has, but merely hope might not be enough. Circumstances arise for both of these young people as their dreams come true sooner than they both anticipated. Young, old, rich, and poor alike are put to the ultimate test of survival along the Oregon Trail by wagon train. Starting with their very first step into a wild territory, their journey begins on a dusty and difficult trail. Is it possible for them to survive in a land with just as many unexpected trials as there are bountiful blessings? 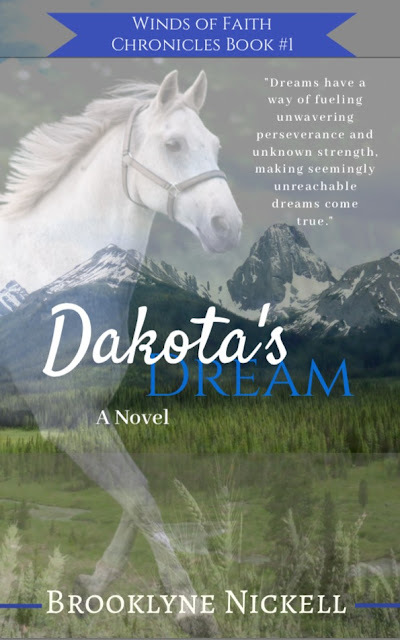 Dakota’s Dream is a story about a young woman’s courage, trust in God, and two dreams that come true in the most unlikely ways." 2. Where did you get the idea for your story? What came to you first: your theme, character, premise, setting, etc? I have had the idea for this book for a while now. But not only for this first book, for the whole series. It started out as just a inkling of an idea (basically a whim; a "what if I could?") Then that idea turned into a full fledged dream! And though that dream might be crazy for an inexperienced writer like me, I believe God placed this dream on my heart for a reason. What came to me first? The characters. 3. What have you done to get experience for your story (like watching knitting YouTube videos)? What did you put into the book because it's something you know about (like if you're a martial artist, and put that in)? This story is based off of our move to the country. Our journey and the things that we have encountered on our way from city life to country living has given me the experience for my story. The hardest part is going to be taking some of my personal experiences, fictionalizing it and making it historically correct. 4. 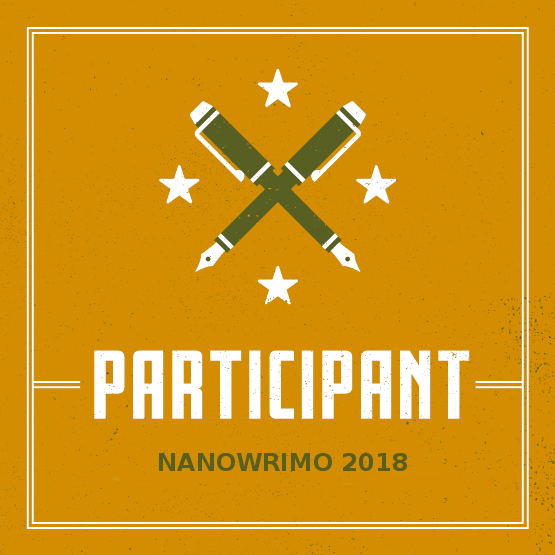 What made you decide to write this particular book for NanoWriMo? I have a few other WIP's, but this book is my main priority right now, so that is why I chose this book for Nano! 5. Do you research before, after, or during your first draft writing process? Have you done any research for this particular book? How do you usually research? 6. Do you plot or plan your book in any way before you start writing? What methods do you usually use and what did you do this time? How to Write a Novel Using the Snowflake Method is such a helpful book for us writers to read! If you haven't read it yet, go and check it out! It's awesome! 7. Do you hand write or type your first draft? 8. Do you have a brainstorming buddy and if you do, who was it this time and how do they help? My sisters and cousins let me bounce some of my ideas off of them, giving their input here and there, but I wouldn't say they are a "brainstorming buddy." 9. How did you come up with your characters' names? Probably the most common way to find character names: Looking up baby names! Although my internet search has a small twist... names from the 19th century. 10. Do you know what your story's theme is? If you do, how did you find it, and if you don't, how do you plan to find it? My stories theme is "dreams." Just like writing this book is my dream, my MC (main character) has a dream too. This story is about how God gives us dreams, but also how our version of the dream might be different than His. This book is also about hope. How I found this theme? I think it mostly found me. Everything started falling into place, and It just clicked. "a cherished aspiration, ambition, or ideal." "...typically about something greatly desired." Thoughts? What do you think of my grand work-in-progress? Are you writing a novel? Where did you get your story idea? Has writing it become your dream? Let's talk about it in the comments! Yesss, Google is a lifesaver! And that’s so cool that you’re basing it off your family like that! 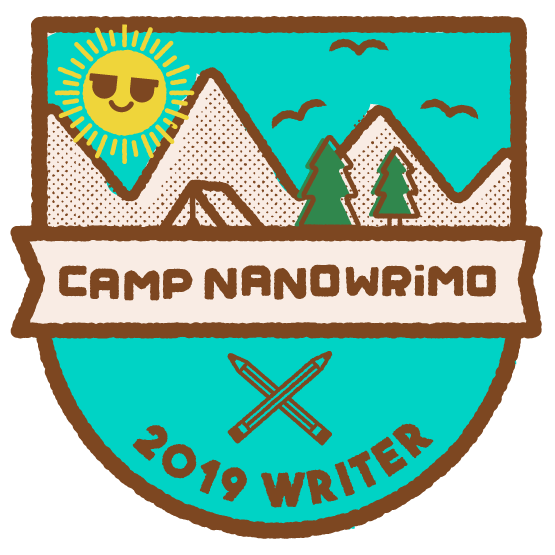 Hopefully the first two days of NaNo are going great for you. Good luck! Your story sounds incredible, Brooklyne! So far, so good! Thank you, Nicole, you too! Happy writing! Sounds good! I love that her middle name is Skye. Thanks, Skye! *winks* I bet you do! Thank you! Are you doing Nano? You have been nominated over at Belivy blog! I'm looking forward to hearing more about your book! It sounds so interesting! I've never been much of a writer, but my cousin is writing a book, but I don't think she plans on trying to sell it, I keep telling her she should, it's quite a story. I also love the way she writes (much better than me) it just flows along nicely, she has a blog, here's her address if you'd like to check her out, http://damarathroughmyeyes.blogspot.com/ She has posted some of her old stories on there. Yes I do, I just updated my About Me page, it's now Get To Know The Writer, I say how many I have on there, it's a lot so I can't remember. *laughs* You can go ahead and check it out! Yes, we did move from the city (although it wasn't like, big city, it was more neighborhoods) to the country. I love living in the country! Our moving journey was quite the process as it took us 3 years to sell our house. In those three years, we went all over the place looking for property. And God made our dream of living on a farm came true, just in a different way than we had thought. I guess that would be the best and hardest part at the same time... if that makes any sense! Oh WOW OH WOW OH WOW Brooklyne!!!! Hurry up and write this thing and then give it to meeeeeeeeeee! Your COVER is SO beautiful, just WOW. This enthusiastic comment totally made me smile! Your so sweet, Julia! *scrambles off to write* Thank you so much! I love the historical fiction twist! And I'd love to hear how the Snowflake method works for you - I've heard of it but never tried it yet. Me too! Have you read the book? It is really good! 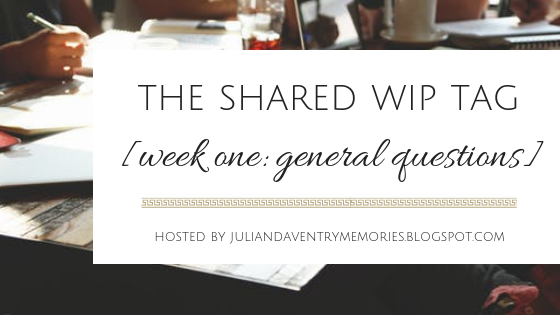 Can't wait until our next Shared WIP Tag post! Thanks again for hosting this! It's super exciting that you’re writing a book! You are going to be great I can't wait to read your book.!!!! I have a question, how did you design your cover? I've been trying to figure out how to make a few book covers, and haven't figured it out yet.